New Arrow Season 4 Poster! 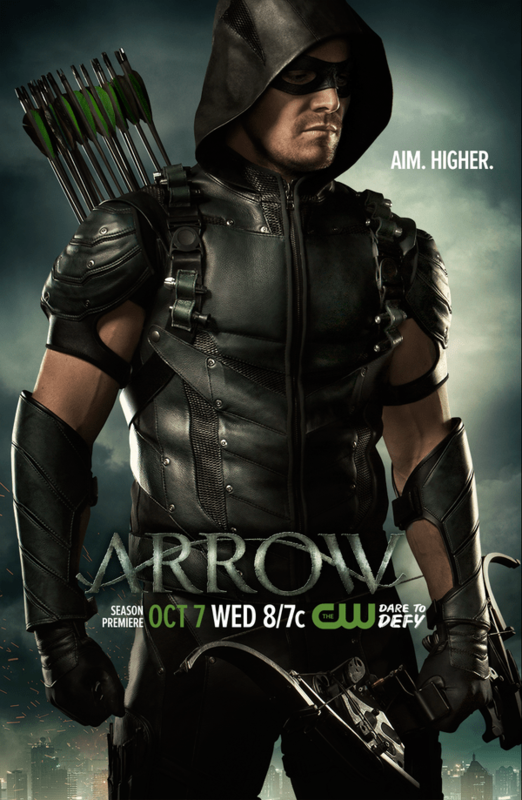 We’re just a little over a month away from the return of “Arrow” and it’s fourth season, so we should expect to see a lot of promotions leading up to the season premiere, and today we got a taste of that with a new poster for season four that has the tag line, “Aim. Higher,” and gives us a great look at Oliver’s new costume! Season four of “Arrow” beings next month on Wednesday, October 7th.